Schinkels’ Gourmet Meats buys their beef from Cargill Meats. All the beef comes from the province of Alberta. Schinkels’ buys from Cargill, mainly because it is the most consistent, the best quality, and flavour. All of our beef is “AA” or higher quality. 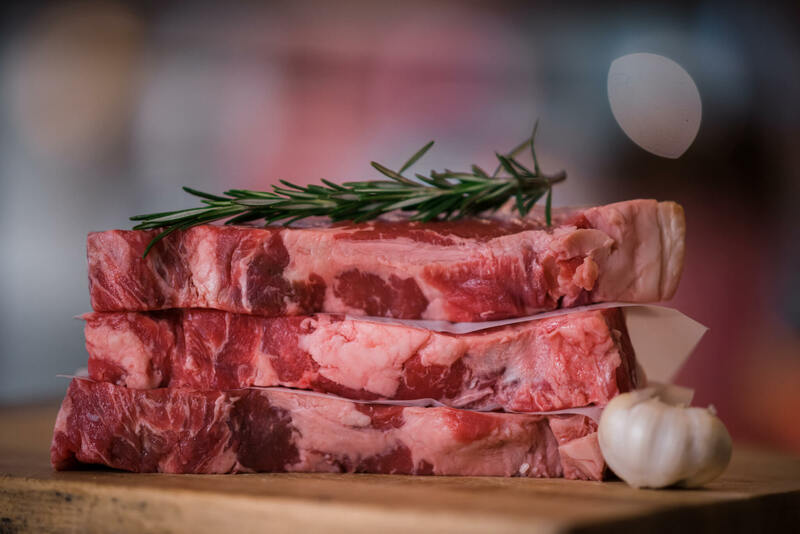 We find it carries the best flavour, marbling, and very tender. Please note that all beef steaks and roasts, can be cut to any thickness, or weight. Just ask. Lamb Chops available – (Holidays) – leg & bone-in legs. Certified Angus beef is “AAA” quality. This meat has been aged more than the regular beef, and this provides better flavour, and marbling throughout the steak, and is very tender. 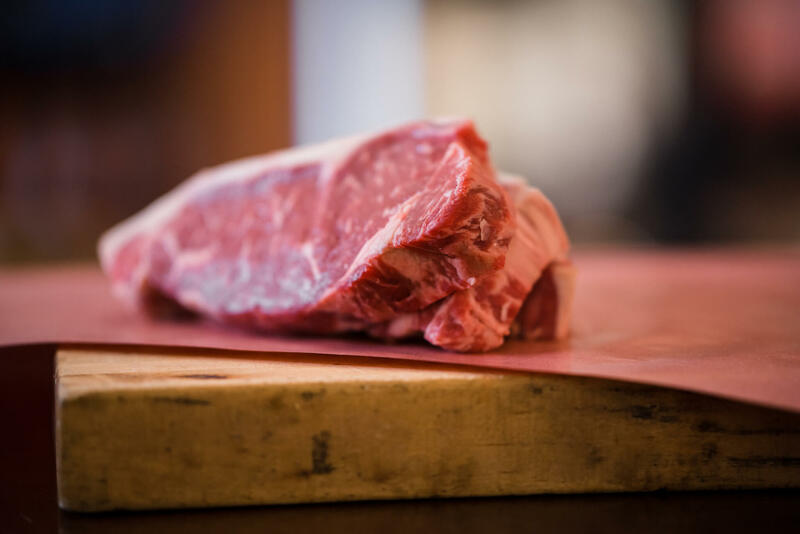 Although not so secret anymore, this beef is aged more than the regular beef and comparable to the Angus, when it comes to tenderness, marbling, and flavour. Just ask for it at the counter. For more information on cuts of beef, nutritional value, recipes or just about anything else you would like to know about beef, please visit www.beefinfo.org. Schinkels’ Legacy has been making homemade lunch meats and sausages for years, which are Gluten-Free, Lactose Free, No MSG, No By Products. Hungarian: Similar to the German, but a little harder, but mild dry salami. Gypsy: A much more spicier salami when compared to German and Hungarian, a very popular salami. Honey loaf: A sweet lunch meat. Garlic Bologna: Schinkels’ famous award winning bologna, a very popular product. Black Forest Ham: Lean lunch meat, Schinkels’ has won many awards for our ham over the years. Honey Ham: Close to Black Forest Ham, but a little sweeter. Bier Salami: A popular lunch meat it contains bier seeds. Schinkels’ Gourmet Meats prides in our store sliced bacon. We have won many awards with our bacon. Try it and you’ll never go back to anyone else’s. We carry peameal bacon also. You might also be interested in our Keilbossa Coil, Polish Coil and Keilbossa Stick. 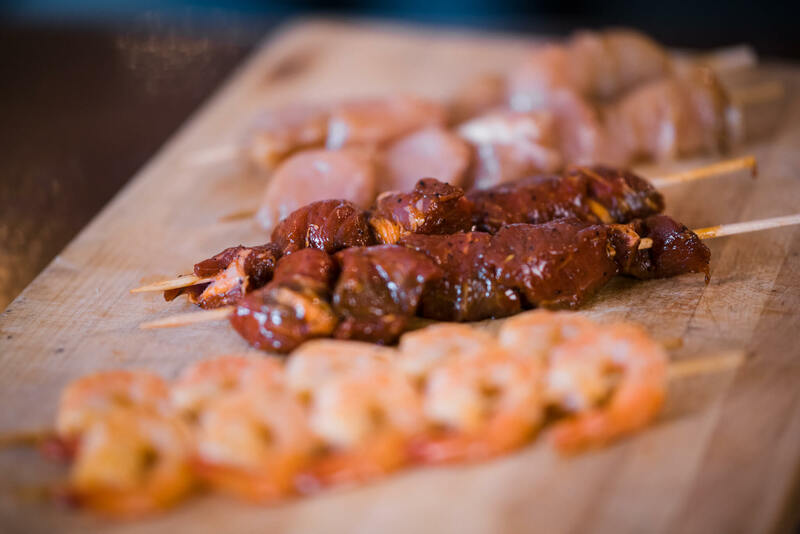 Our own homemade pepperettes: mild, hot, or Jalapeno. From the very beginning, Schinkels’ has purchased its pork from Weston’s Abattoir, located just outside of Windsor, Ontario. They are known to provide Ontario’s Finest Pork. Just ask for our different cuts. 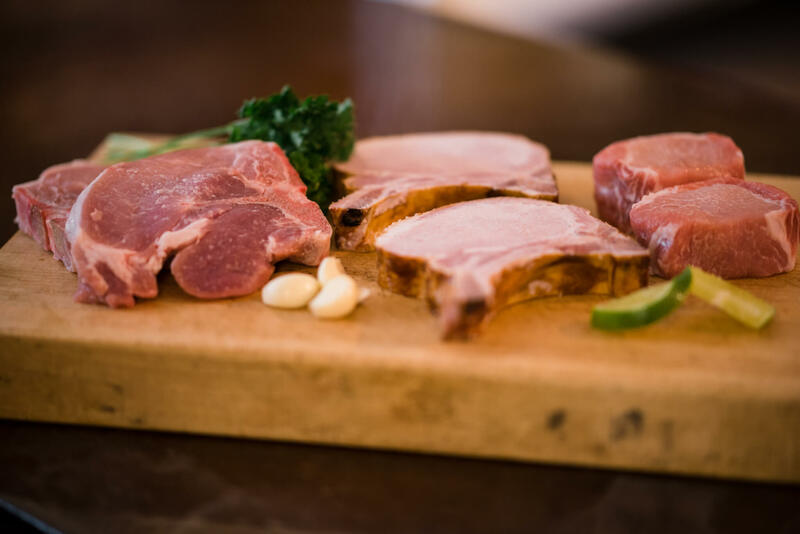 Please note that all pork steaks, roasts, and chops can be cut to any thickness, or weight. Just ask. Ballpark Hotdogs: Award Winning! Available in packages of 8, a 5 lb. bag (25 hotdogs), or a 10 lb. box (50 hotdogs). Octoberfest Sausage: Available in 1. lb (4 sausages), or 5. lb (20 sausages). Schinkels’ buys their chicken from Barron Poultry. We feel that they provide the finest chicken in quality and flavour. Turkeys, Ducks and Geese at certain times of the year. Please ask. Wednesday through Saturday only, we will have fresh fish in our store for your convenience. Our selection can differ from week to week.